Woori Art Museum was founded in 2015 by “Small Art Centre Project” sponsored by Ministry of Culture, Sports and Tourism, managed by Korean Culture and Arts Committee and supported by Korea Sports Promotion Foundation. Woori Art Museum is a cultural facility originally started from an abandoned house in Manseok-dong area from Incheon City, Dong-gu Local Office and managed by Incheon Foundation for art&culture. 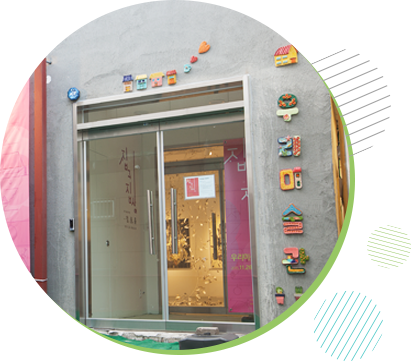 Woori Art Museum has exhibition gallery space and education center providing various cultural programs for local people and artists. Woori Art Museum pursues a ‘Small as open place to all artistic local people in Incheon based on communal life.